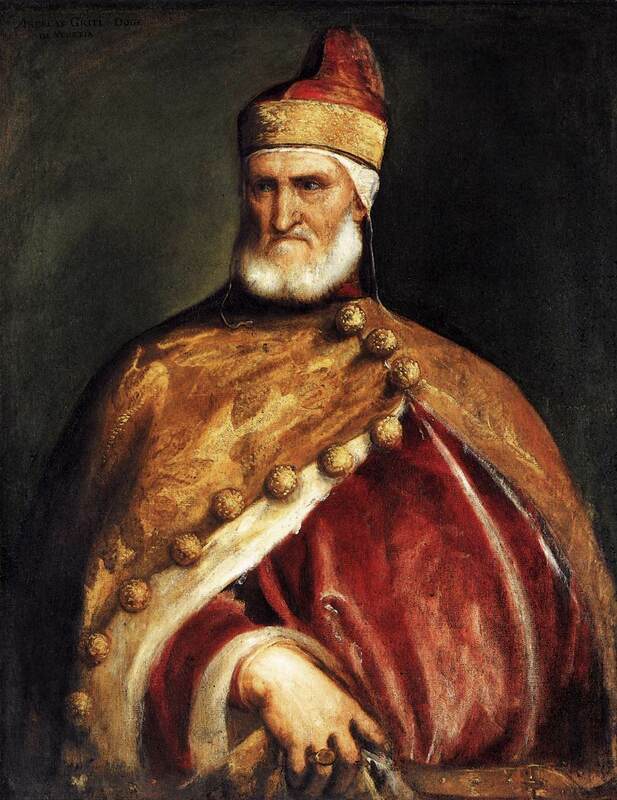 ABOVE: Titian, Portrait of Doge Andrea Gritti (1544-45), oil on canvas, 133.6 x 103.2 cm. 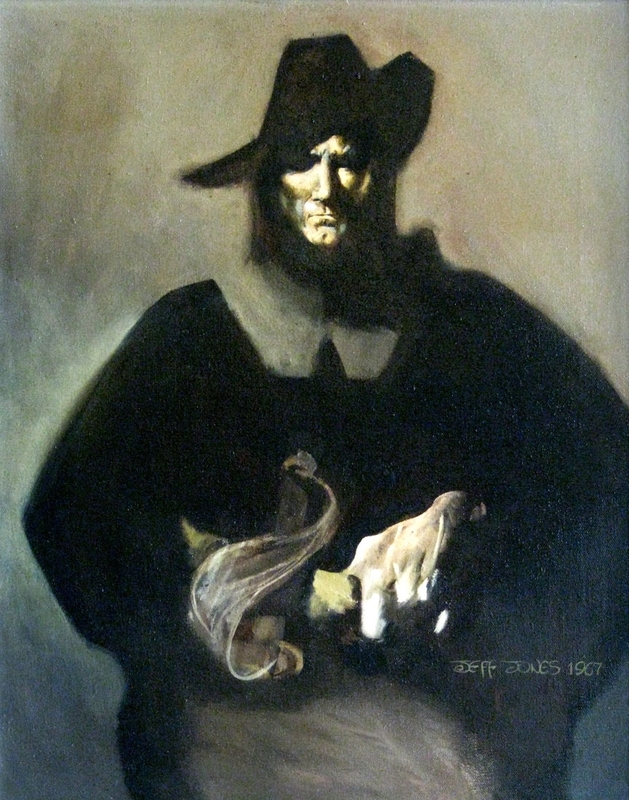 ABOVE: Jeffrey Jones, Solomon Kane (1967), oil on canvas. As the night wind said to the little lamb: Do you see what I see? I wonder, does anyone else think that Jones’s portrait of Solomon Kane is basically a self-portrait? Because I sure do. P.S. 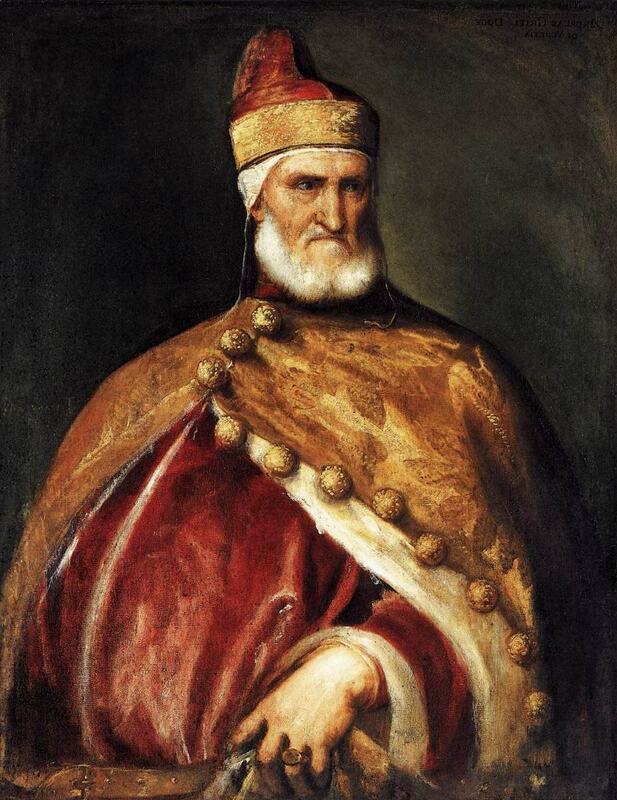 In case others are wondering, I should mention the source for the black-and-white “Portrait of a Nobleman” JPEG is the Project Gutenberg eBook, The Later Works of Titian, by Claude Phillips (1898). I also did a search on “Howard Duke of Norfolk” in Google and browsed page by page through my copy of Peter Humfrey’s book on Titian (Phaidon, 2007), and in both instances, I came up empty handed. “Because we know nothing of the sitter,” writes Claude Phillips in The Later works of Titian (1889), “and there is in his pose and general aspect nothing sensational, this masterpiece is, if not precisely not less celebrated among connoisseurs, at any rate less popular with the larger public, than it deserves to be.” That the painting has continued to be overlooked by generations of Titian scholars and admirers likely explains why it’s so difficult to find a reproduction of the “Duke of Norfolk” online. And it raises the question, if the painting has rarely been reproduced or discussed, where might Jones have seen it in order to have been influenced by it?